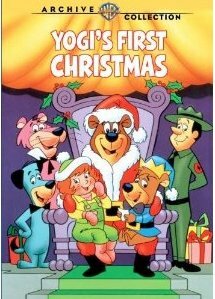 Last week, I purchased a copy of “Yogi’s First Christmas” on DVD from the Warner Archive program. Of course, in the Archive’s case, it’s actually a DVD-R. This being the first time I’ve bought anything from the Warner Archive, I thought I’d write up my experience with the purchase. I’ve written about this special last year; while it’s obviously no “Charlie Brown Christmas,” it’s a childhood favorite I still watch at Christmas. The disc arrived in a simple DVD case, with of course a cover. Unfortunately, the cover for this film is completely lazy/wrong, as it’s artwork from the following Yogi Bear special, “Yogi Bear’s All-Star Comedy Christmas Caper” (which despite its shorter run-time is available on a regular DVD release for some reason—probably to tie into last year’s CGI film, when the DVD was released). The back is slightly better, though still makes use of generic Christmas-themed stock images of Yogi and company. I presume somebody at the Warner Archive either has never learned how to take screen shots of a video, or they didn’t care. This DVD is one of the earlier releases in the Archive project, however. Thus, I’ll assume the latter Hanna-Barbera releases in the series (the “Superstar 10” movies, etc.) 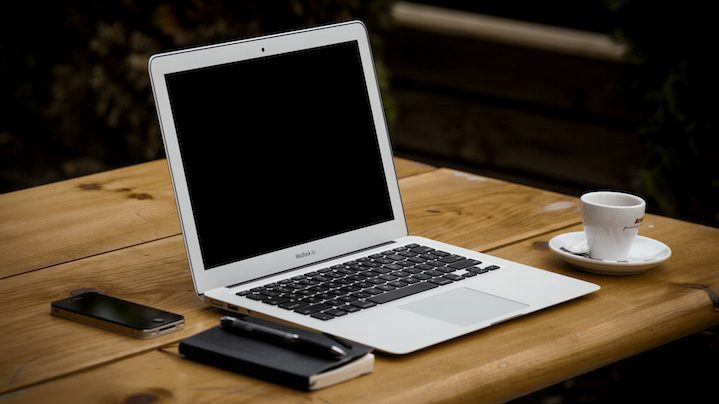 are better done. At least the newer releases seem to have the correct cover art! The release itself is, as a trademark of the Archive discs, a bare-bones affair. There’s no menus, save a default “click play.” A trailer promoting the Archive program plays as the first thing seen on the DVD. Chapter stops, fortunately, have been included, albeit at a generic default of every 10 minutes. The special itself, while not restored, still looks good for its age. One downside of being DVD-R releases: these discs might not play on PC drives. Unfortunately, this is the case for my laptop, which won’t read the disc. It also means I can’t rip the DVD to my computer, like I do with other DVDs I purchase. It would’ve been nice to replace the copy of the special I do have on my computer. (That copy’s from a VHS recording I made some years ago.) I’m curious what burning a real DVD versus a DVD-R copy would’ve cost, especially given what the Warner Archive charges for their films (a bit pricey in my opinion, though Amazon.com had this one on sale). I’m satisfied with the purchase, despite these downsides. A different DVD drive might change some of these criticisms. I’ll probably wind up buying from the Warner Archive again in the future. I still want a copy of “The Jetsons Meet the Flintstones,” something I’ve been wanting to see a DVD release of for a long time. Warner finally released it to DVD(-R) earlier this year, along with most of the rest of the “Superstar 10” movies. Minorities in cartoons: "Hot Wheels"
Previous Post:Even more Super Pets are coming in 2012!